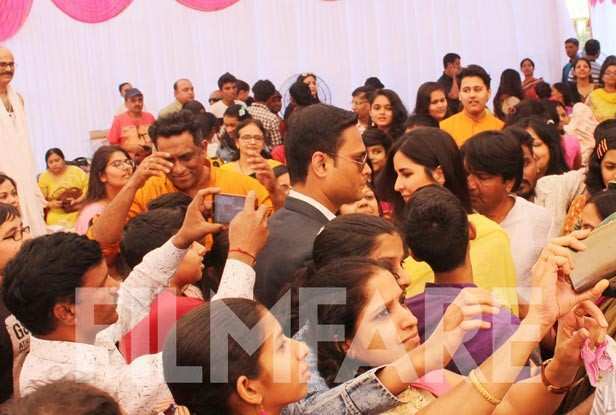 Saraswati puja marks the arrival of Spring and draped in the colour of the season, Katrina Kaif attended director and close friend, Anurag Basu’s puja for the festival. Held at his Mumbai residence, Katrina Kaif was one of the first guests to arrive for the rituals and looked perfectly dressed for the same. Wearing the auspicious colour yellow in an ethnic outfit by Anita Dongre for the occasion, Katrina Kaif posed for the shutterbugs before stepping in for the puja.